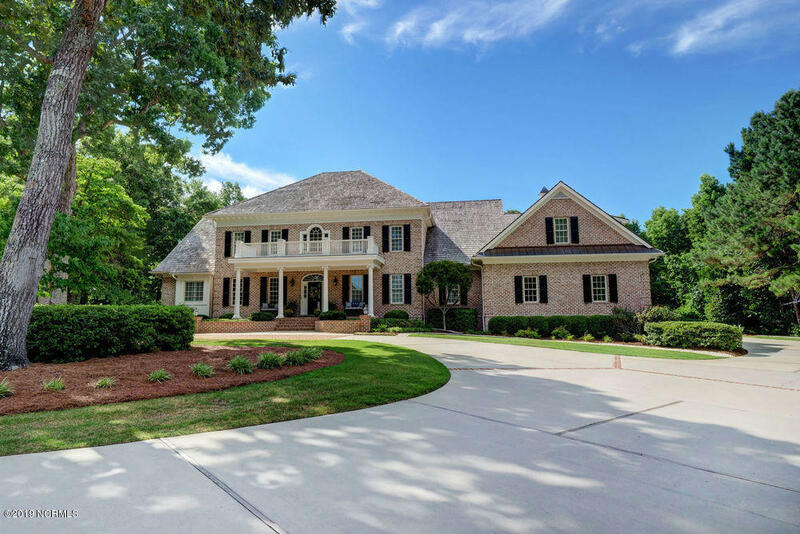 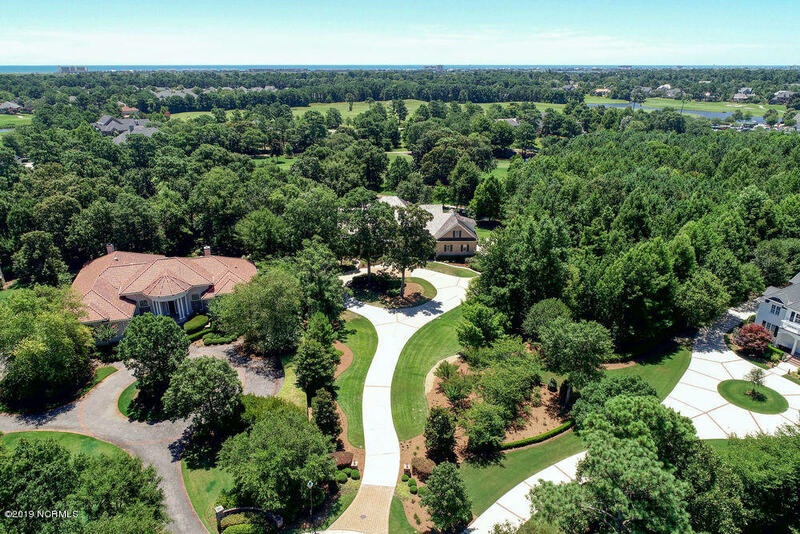 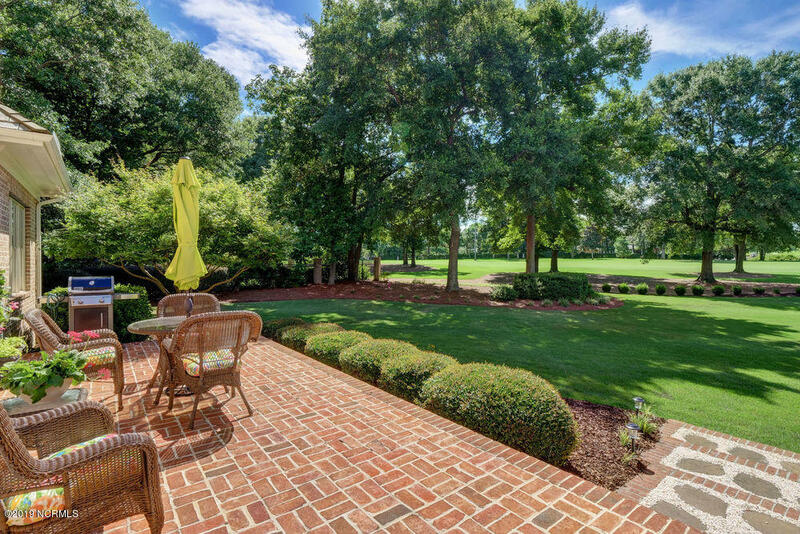 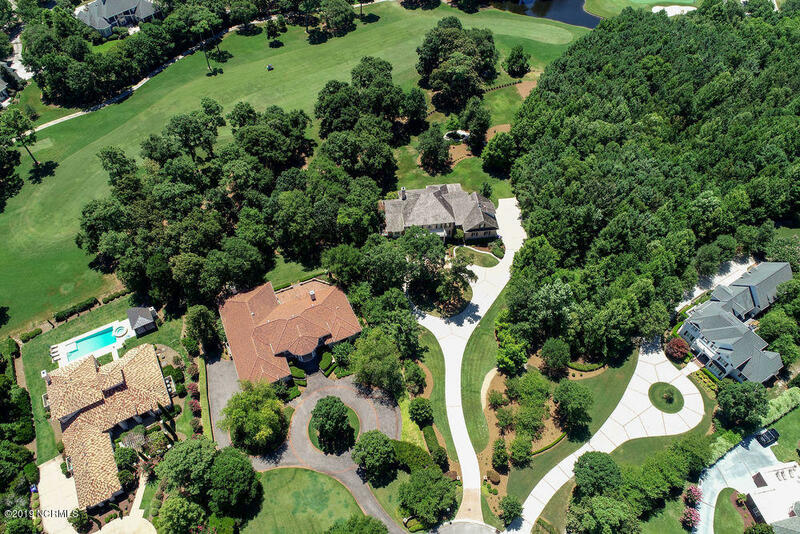 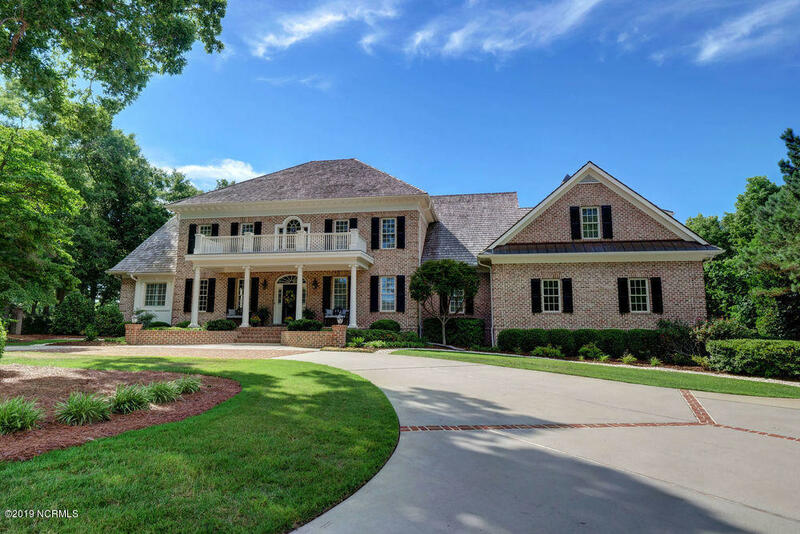 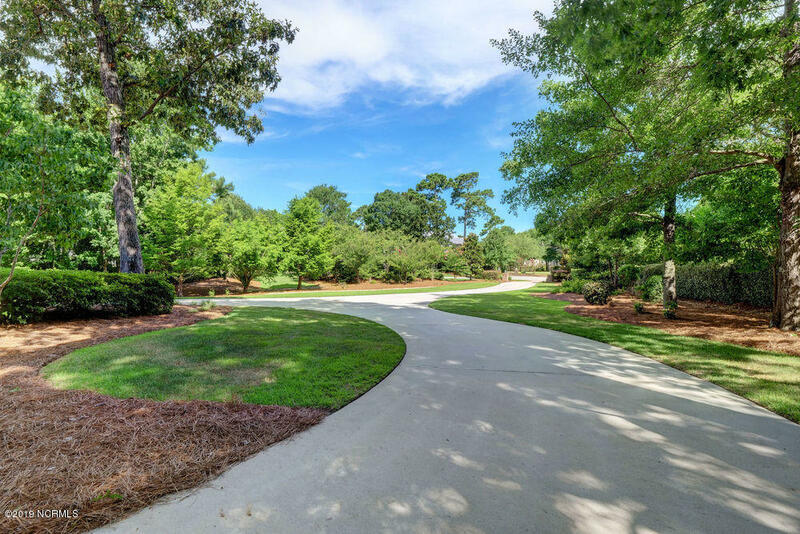 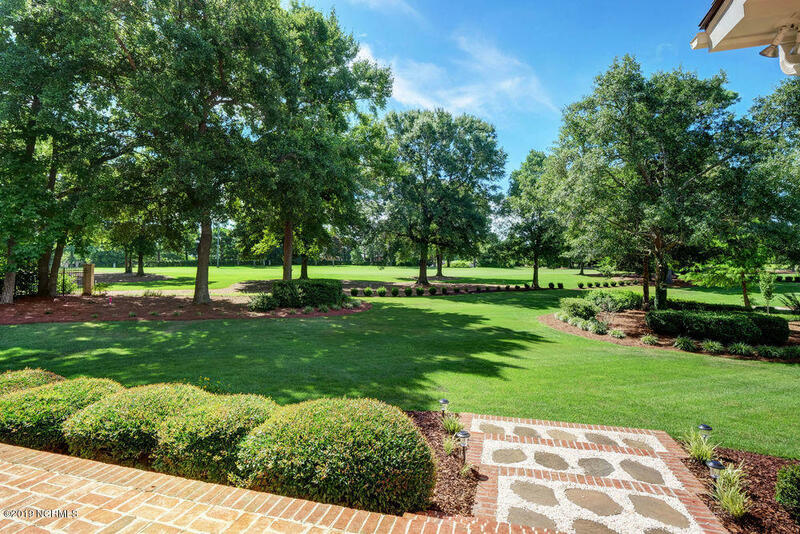 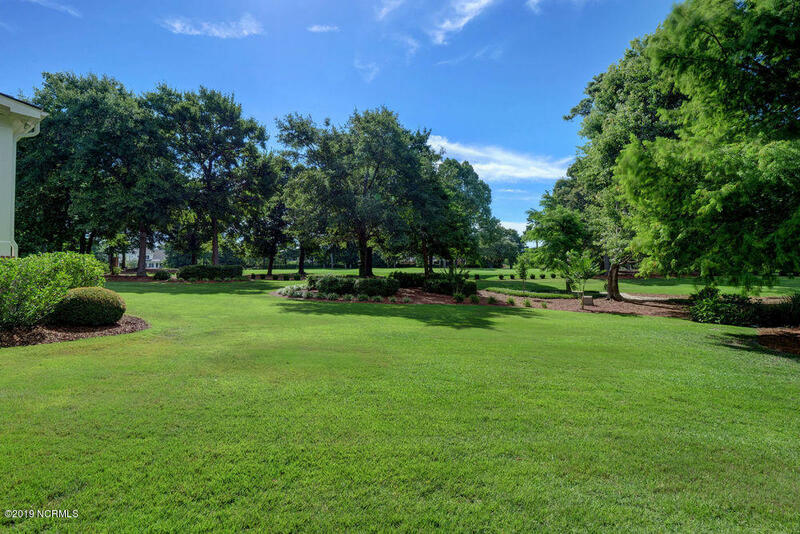 Located on one of Landfall's most private lots sits this brick Georgian masterpiece built by RMB Designs. 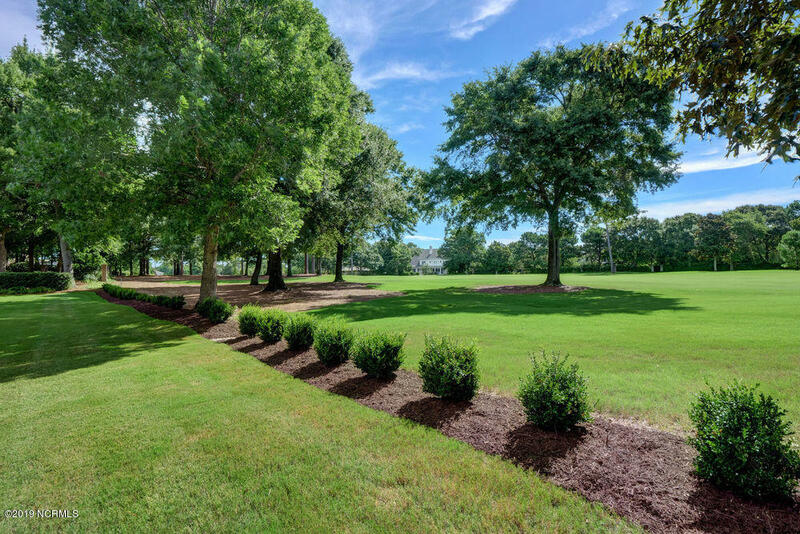 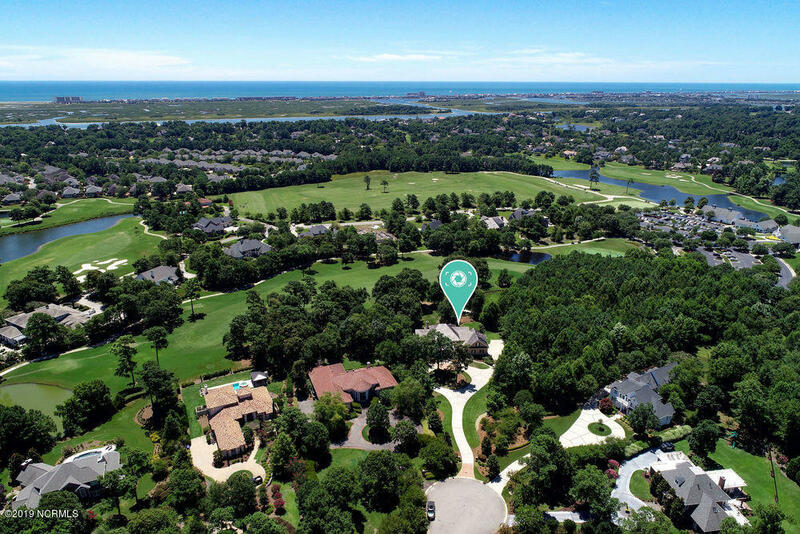 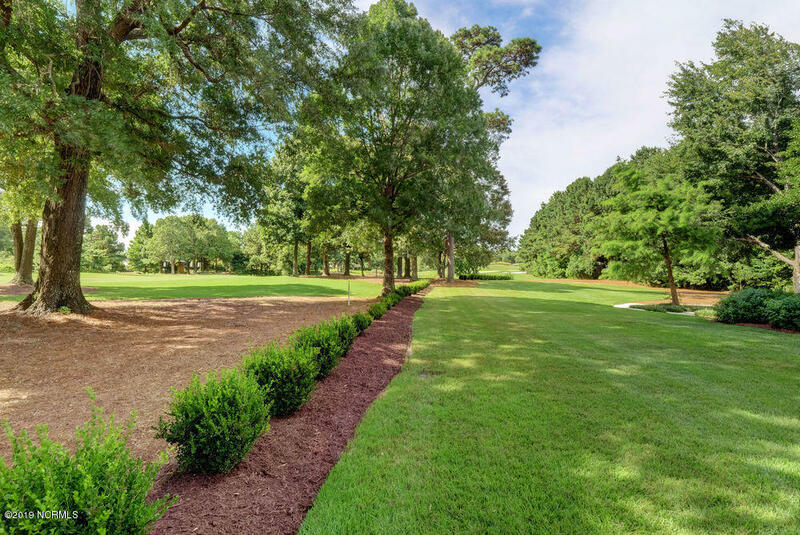 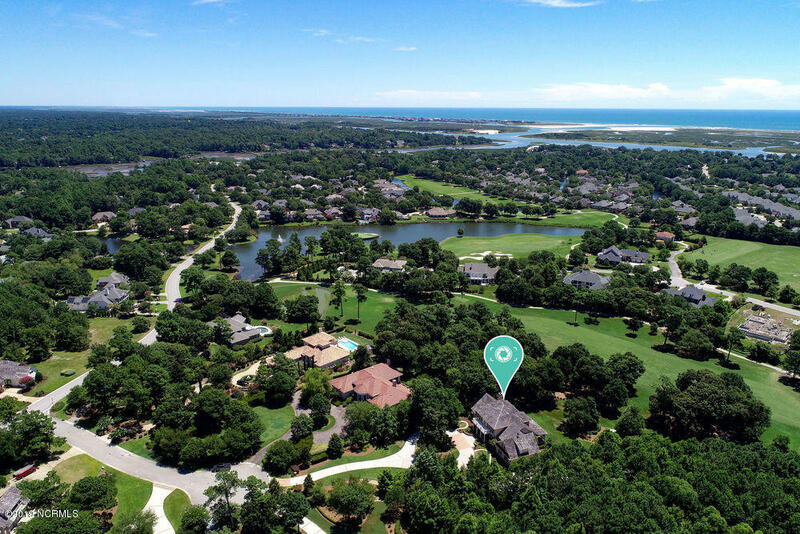 The 1.59 acre lot is at the end of a cul-de-sac overlooking the Jack Nicklaus designed Ocean #9 with 278' of golf course frontage and bordered on one side by a conservation area. 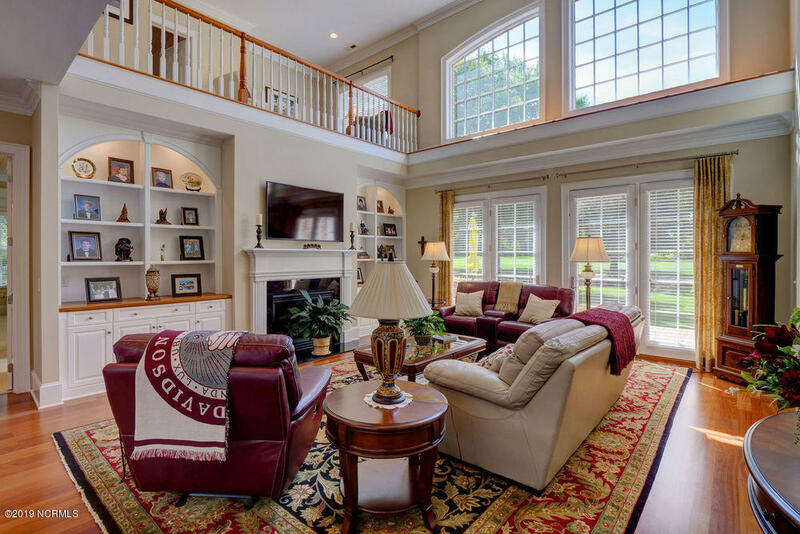 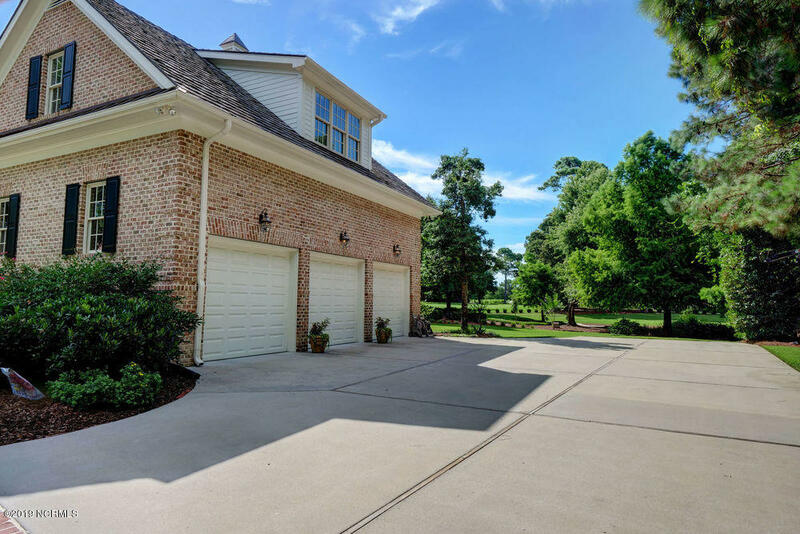 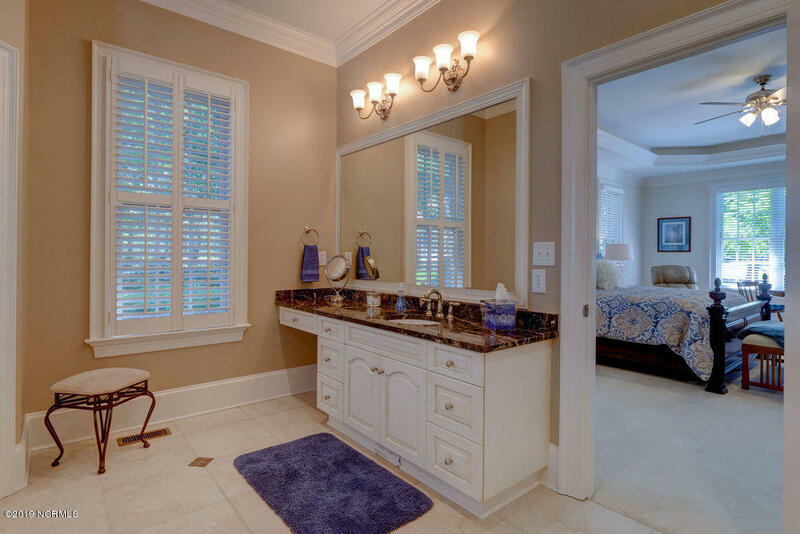 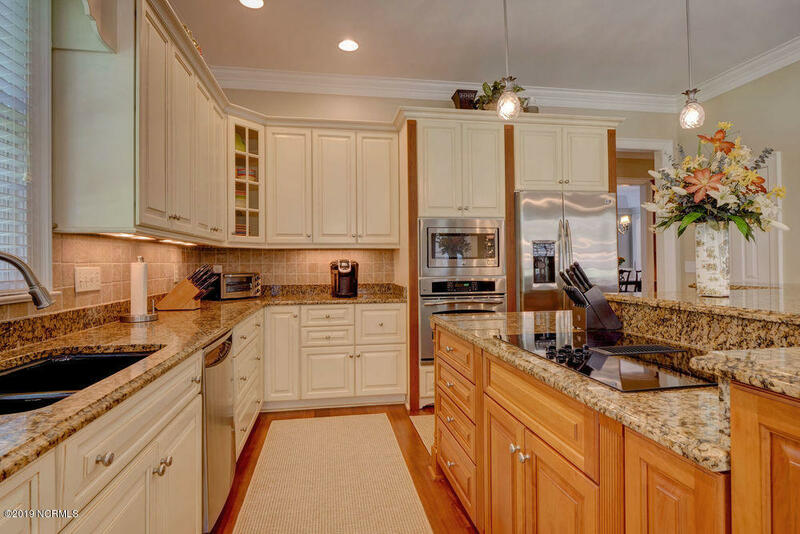 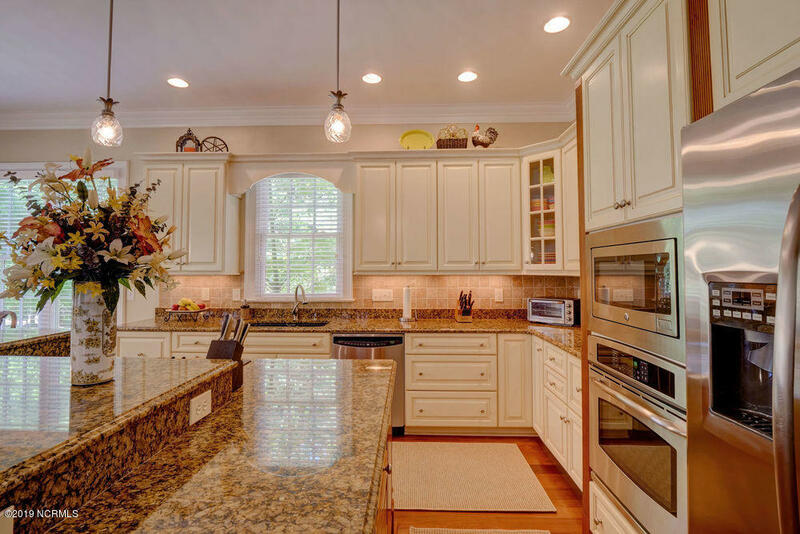 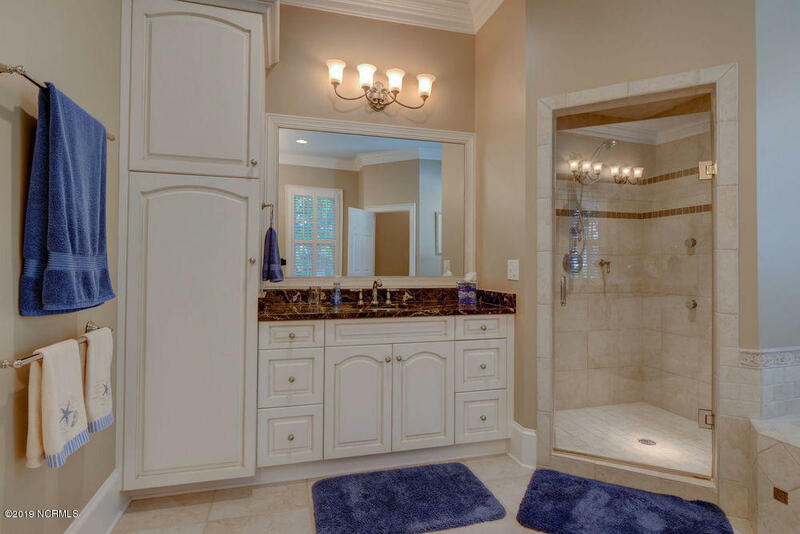 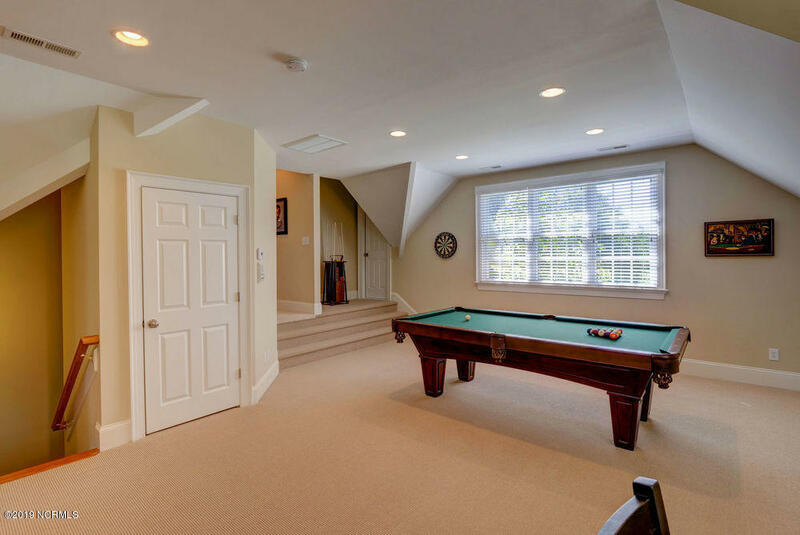 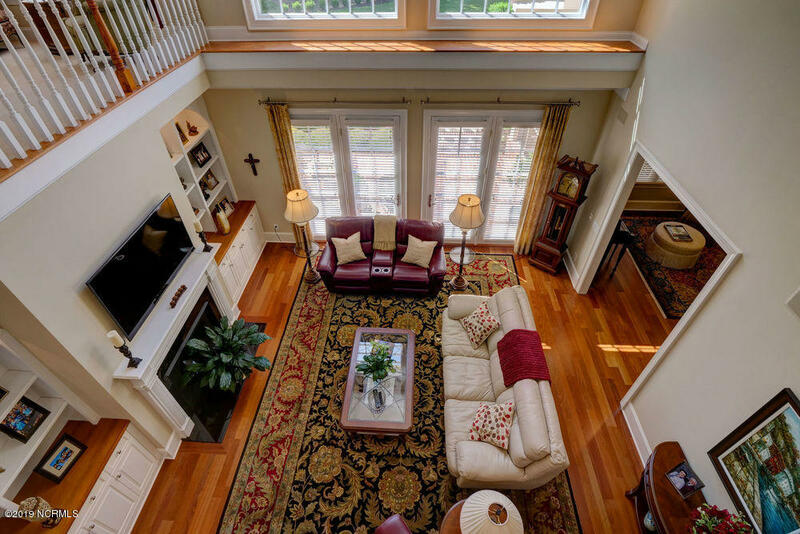 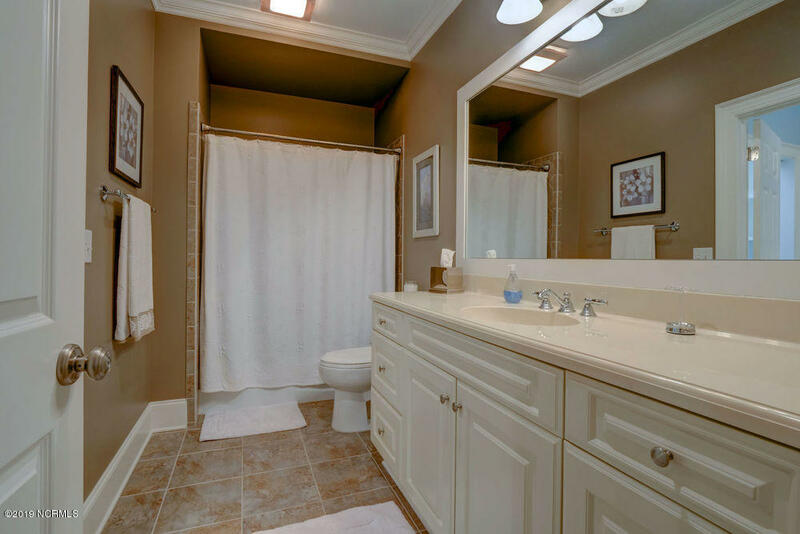 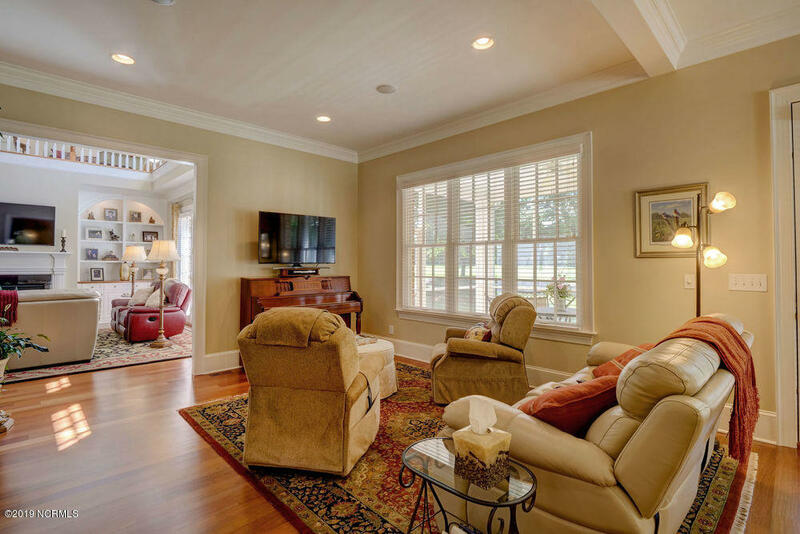 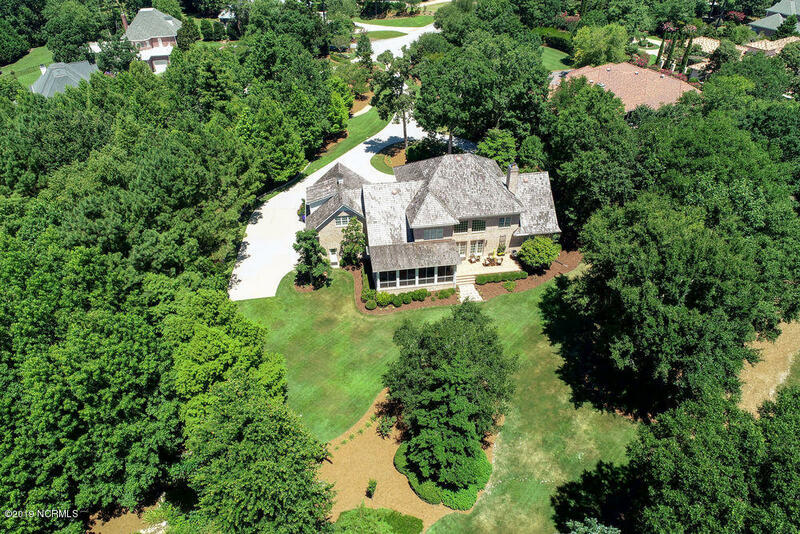 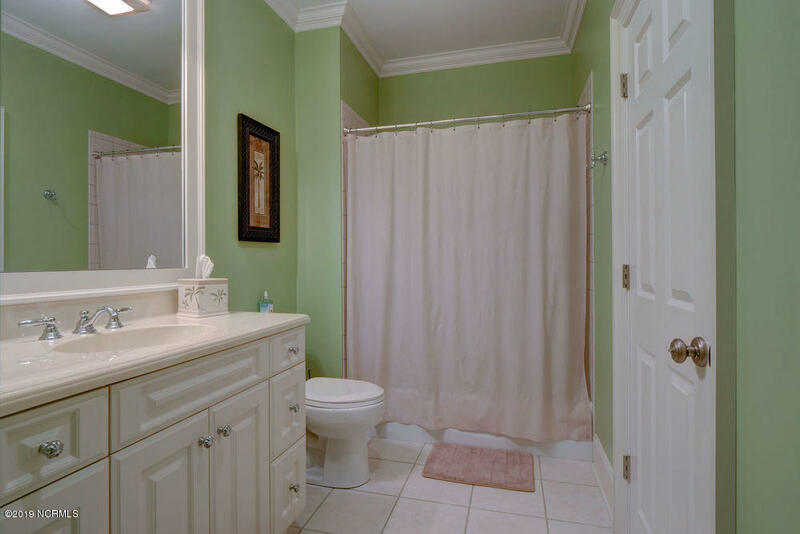 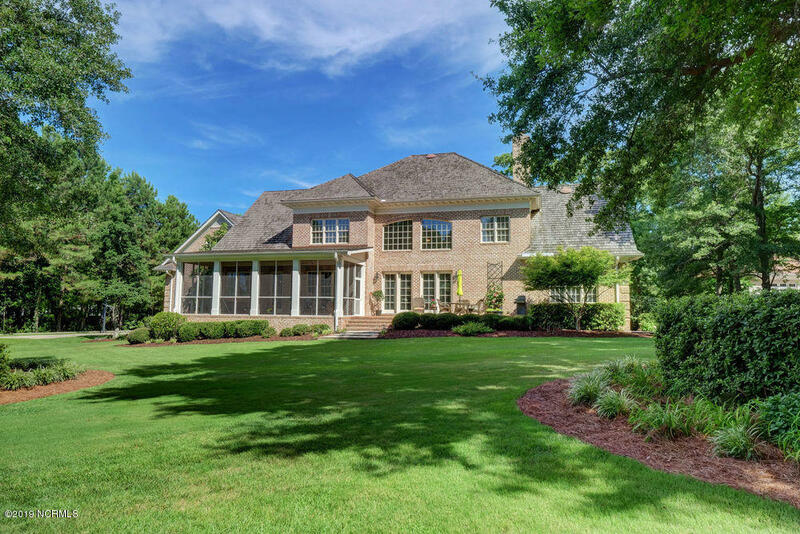 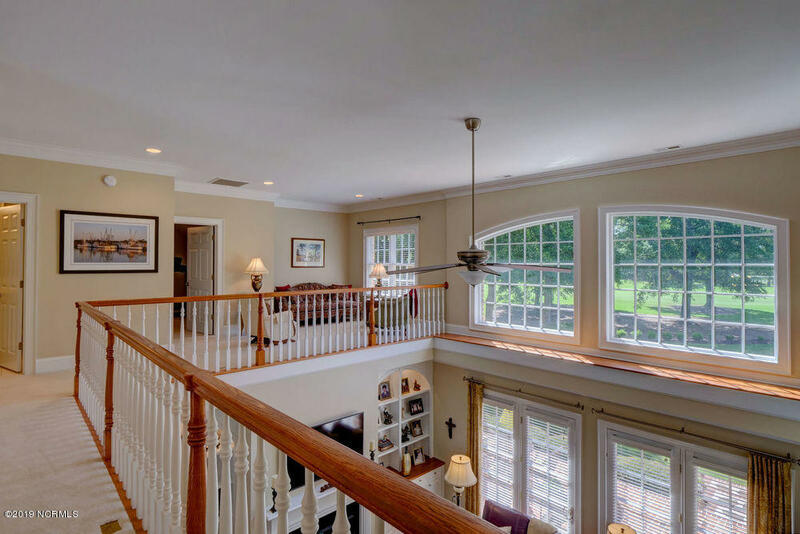 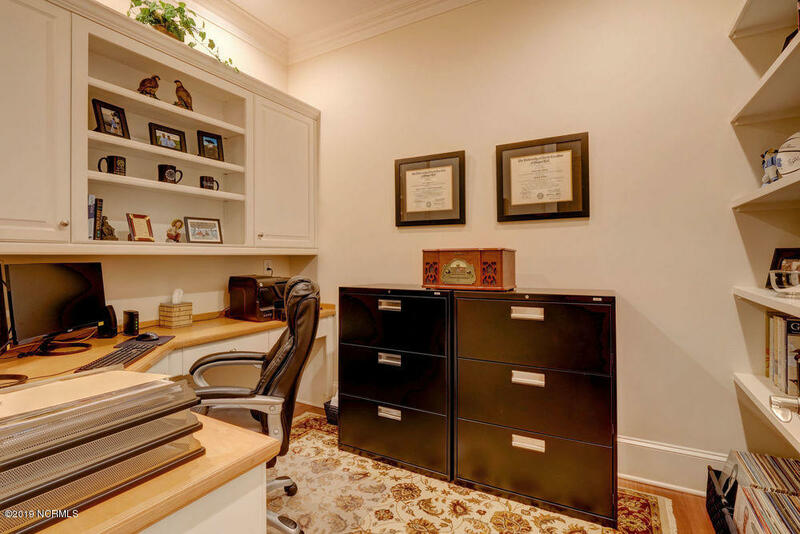 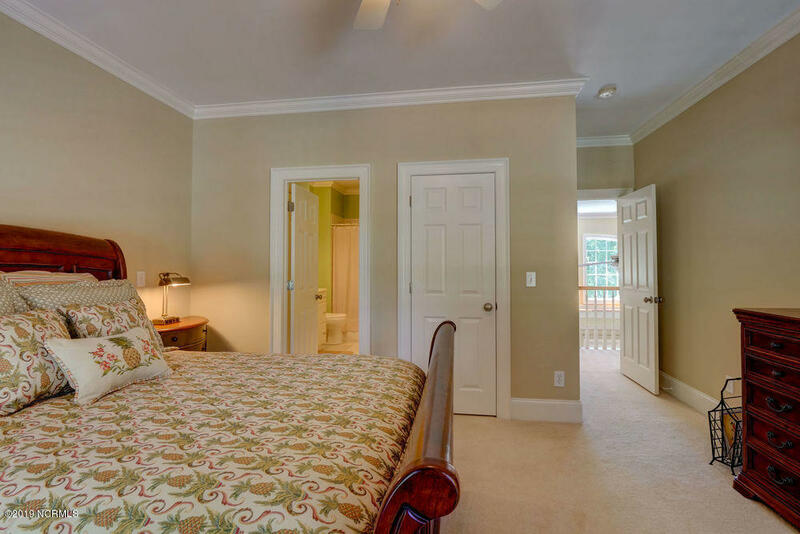 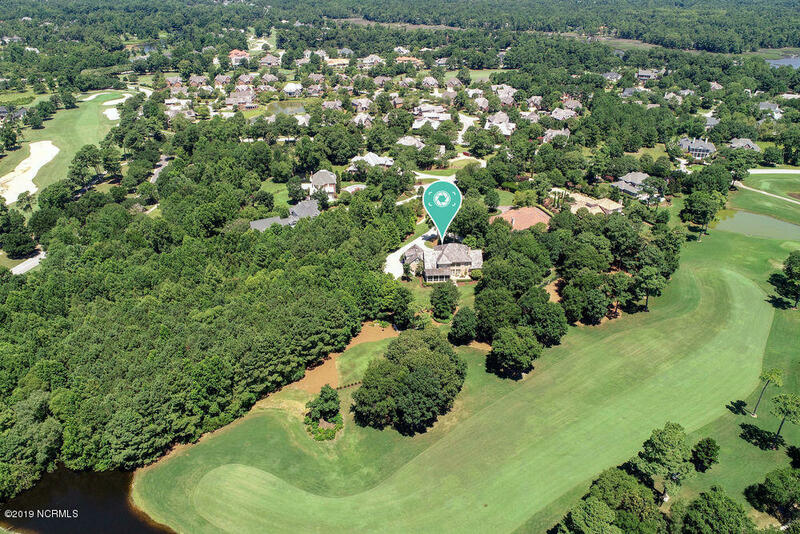 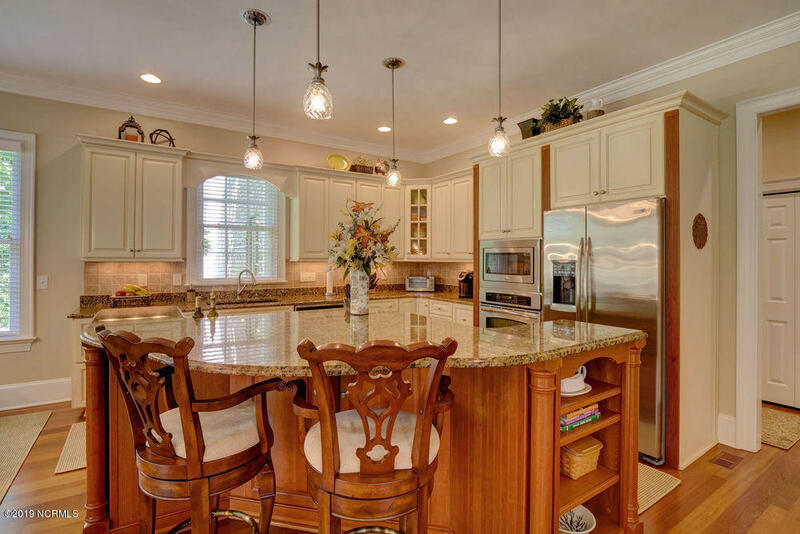 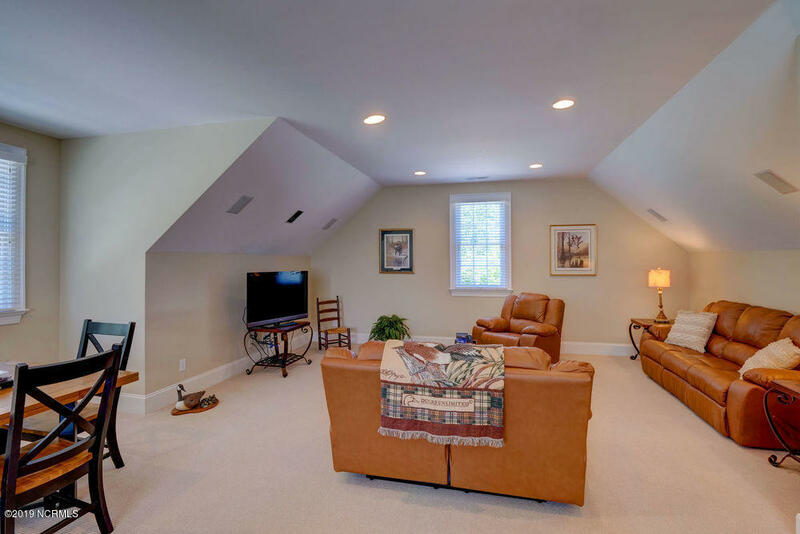 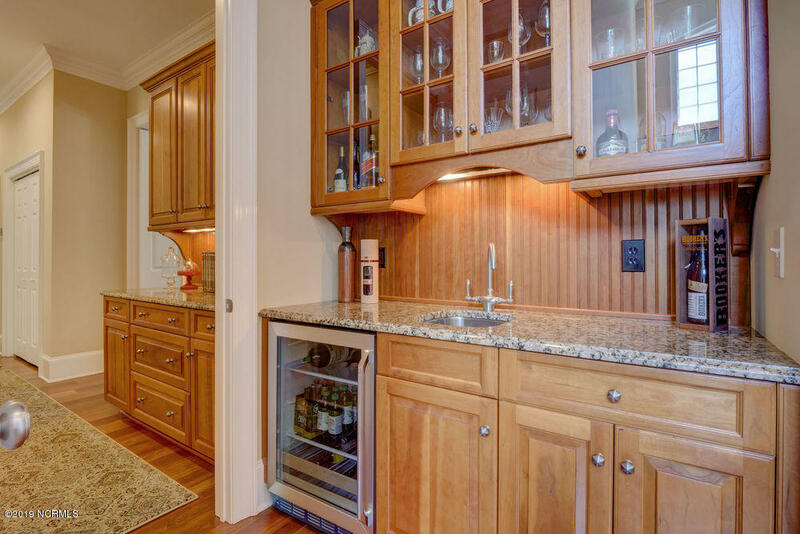 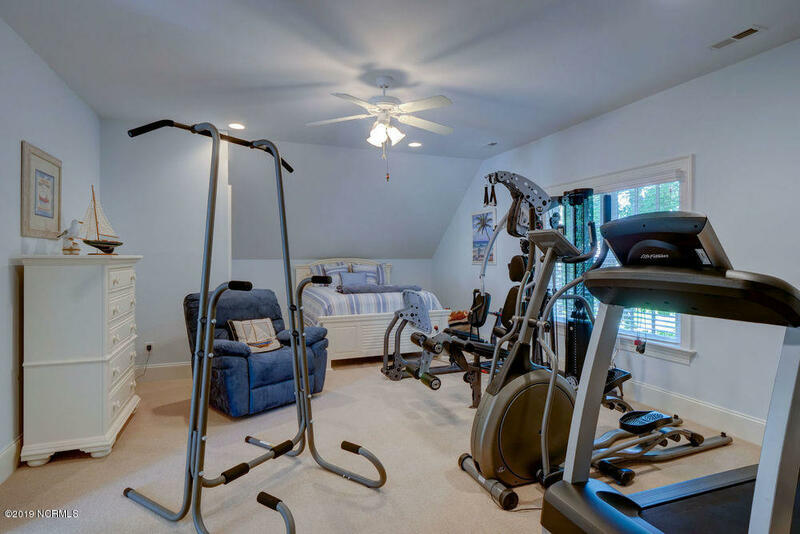 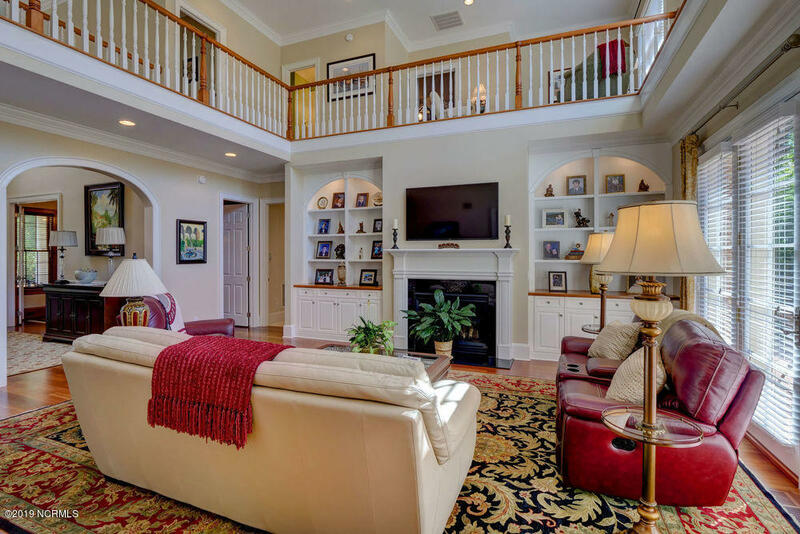 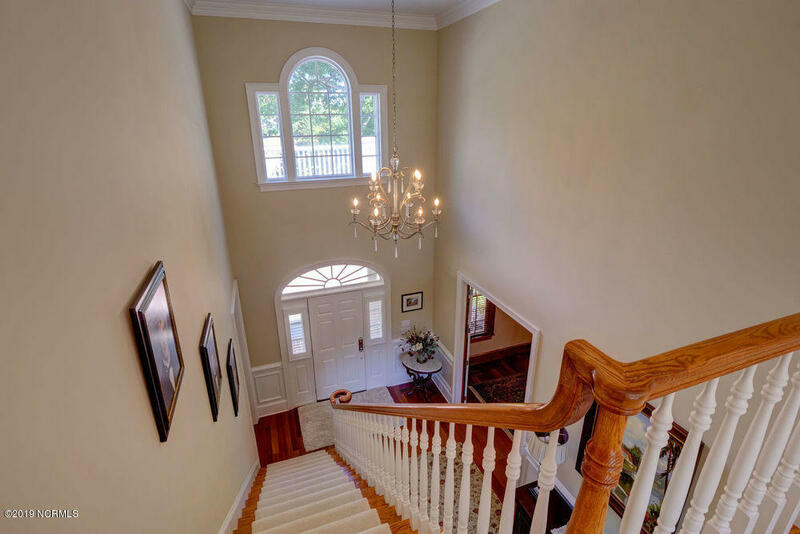 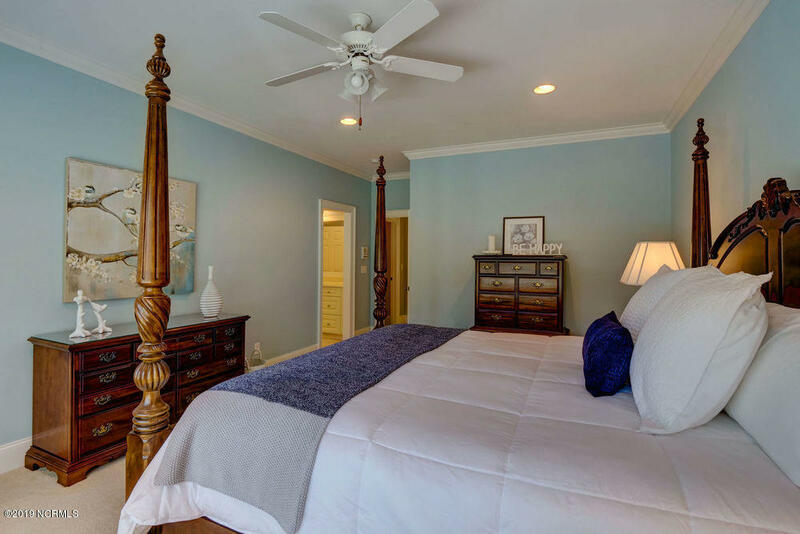 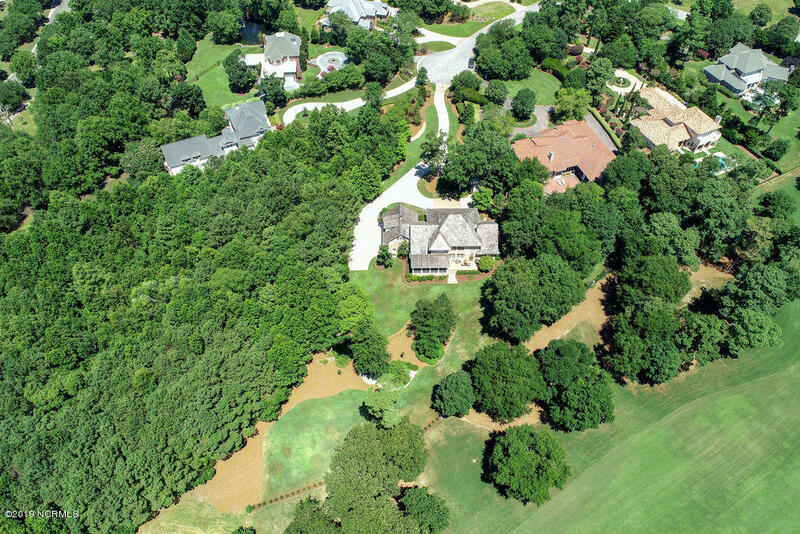 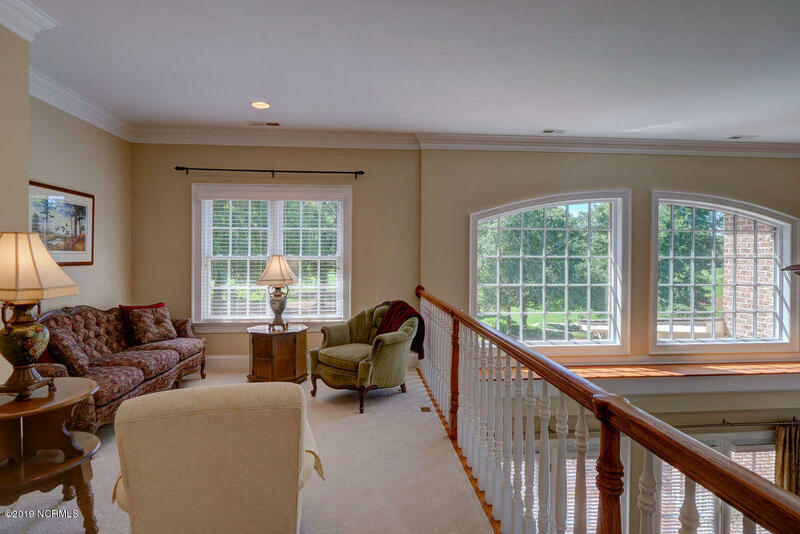 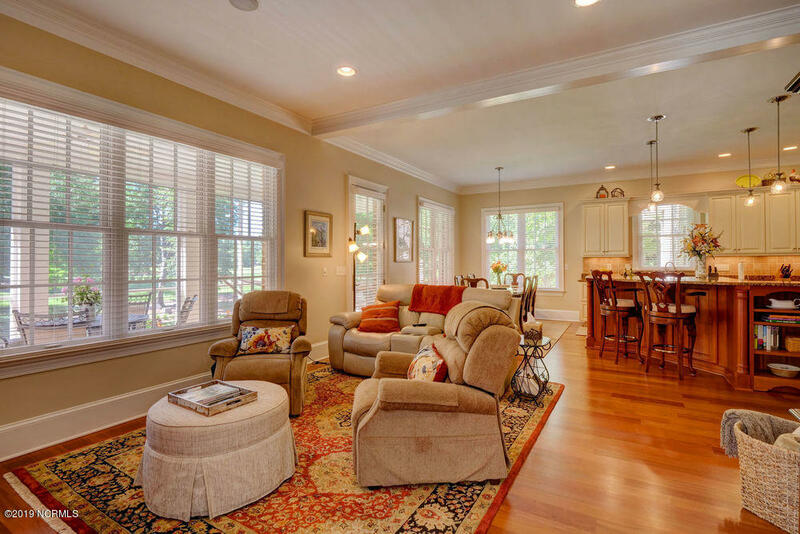 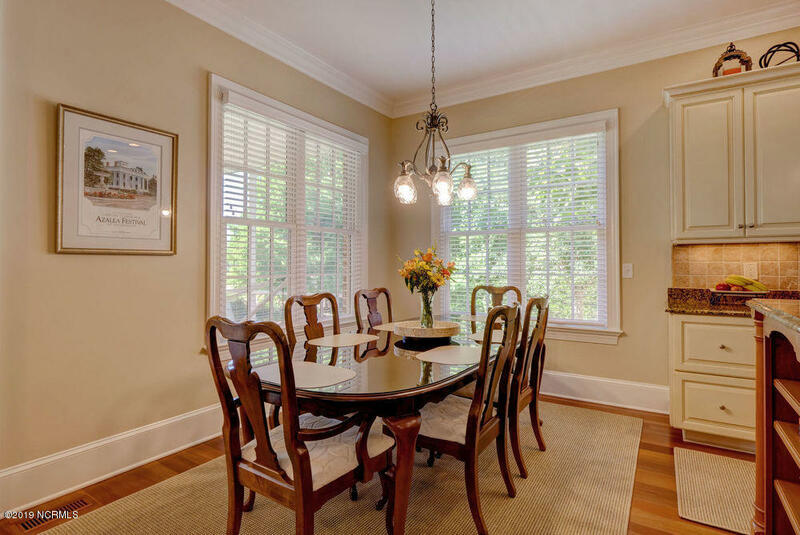 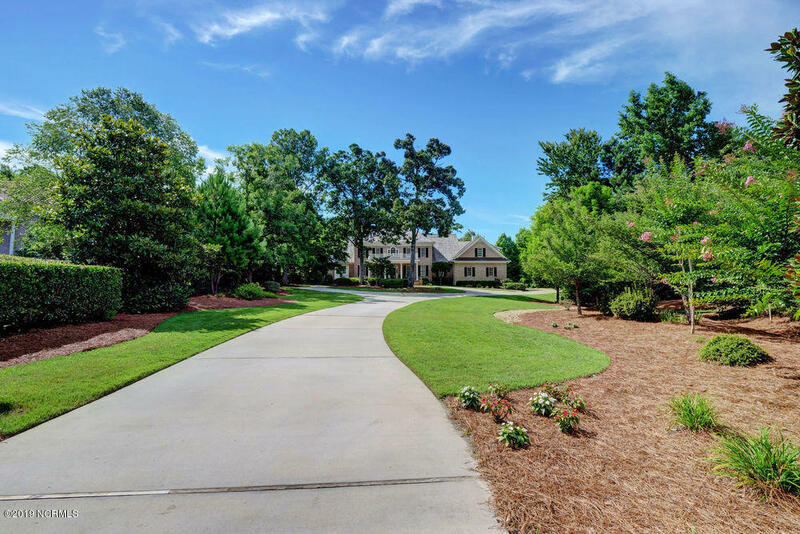 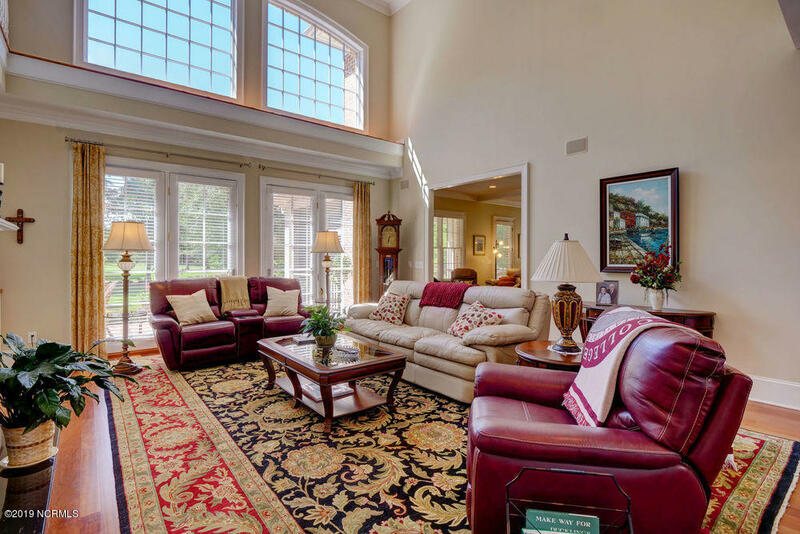 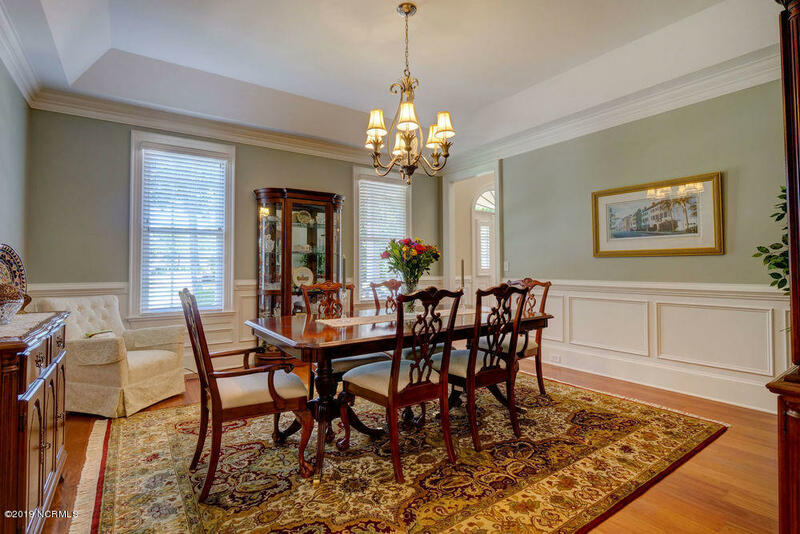 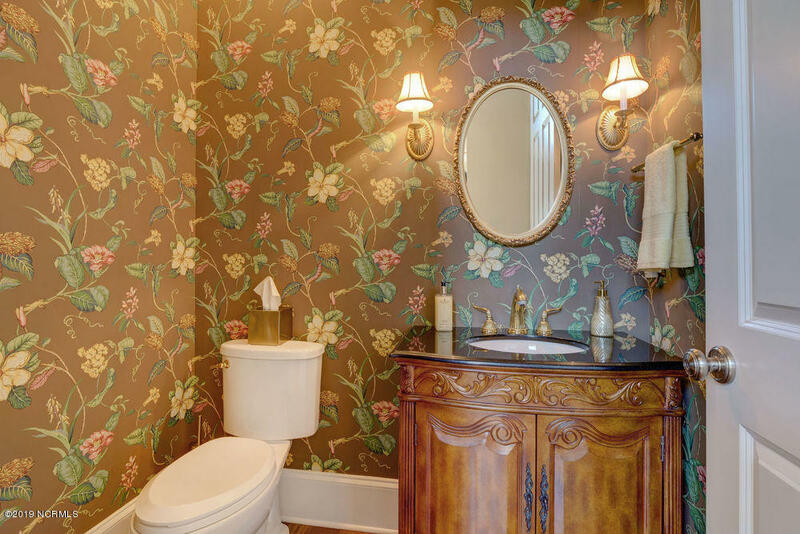 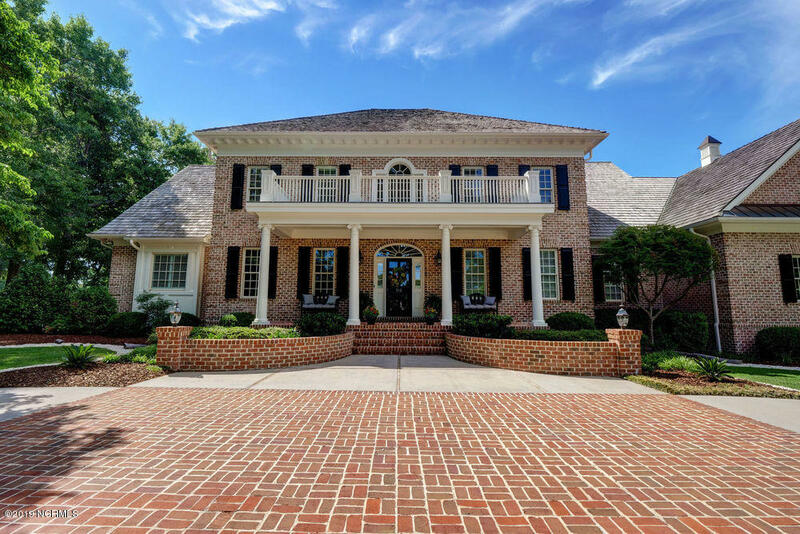 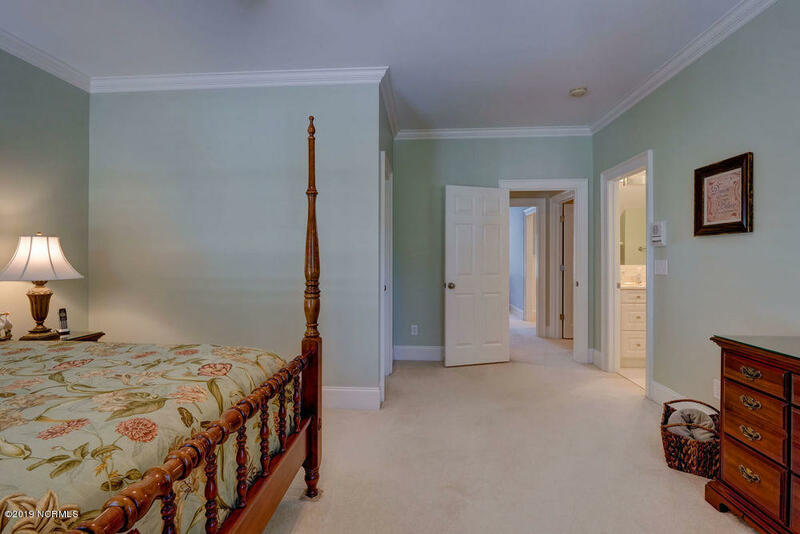 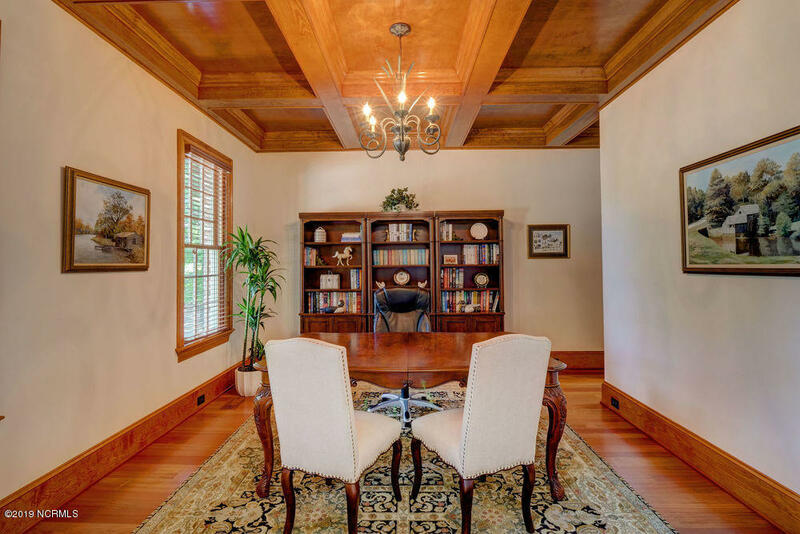 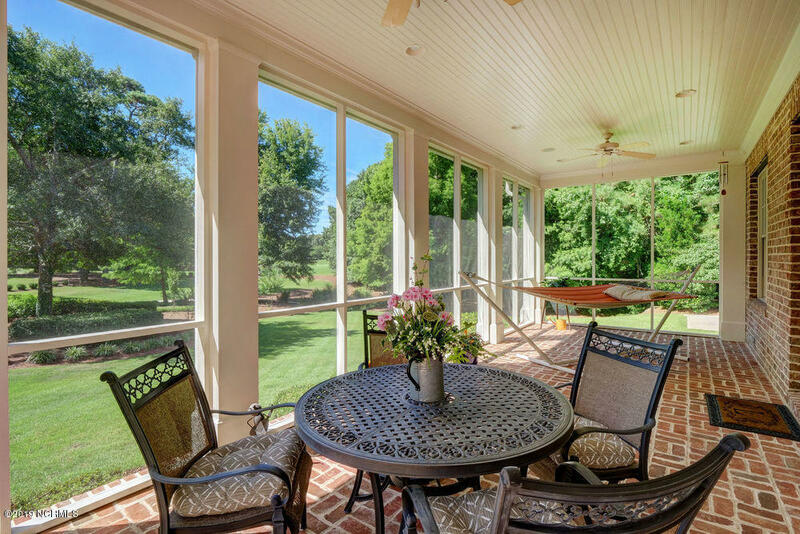 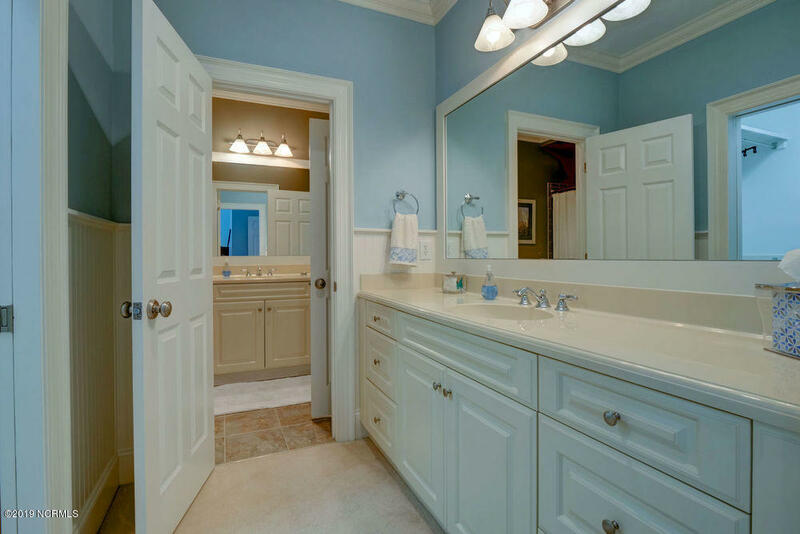 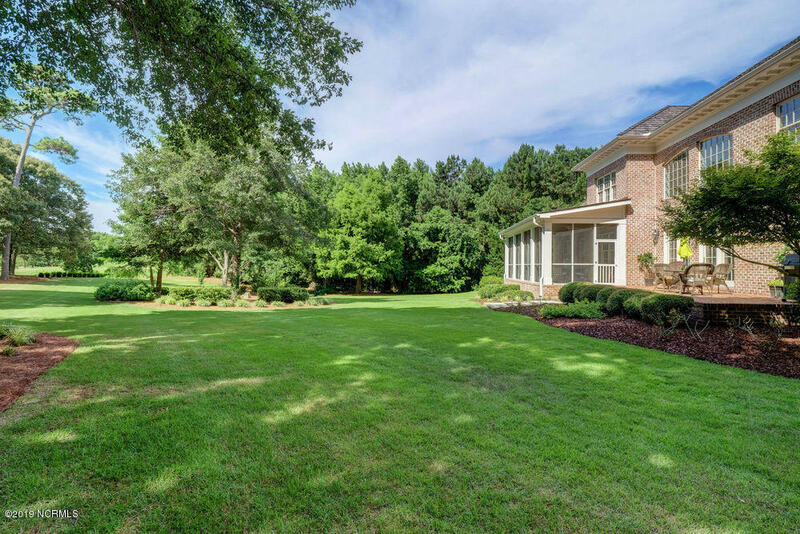 The home features over 6,000 sq ft and includes 4 bedrooms (1st floor master with generous his and her walk-in closets) gourmet kitchen with family room and breakfast area, and screened porch. 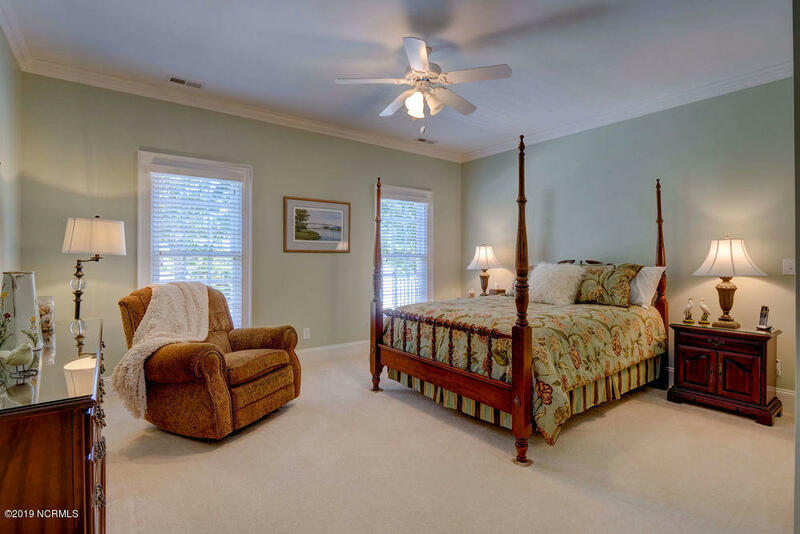 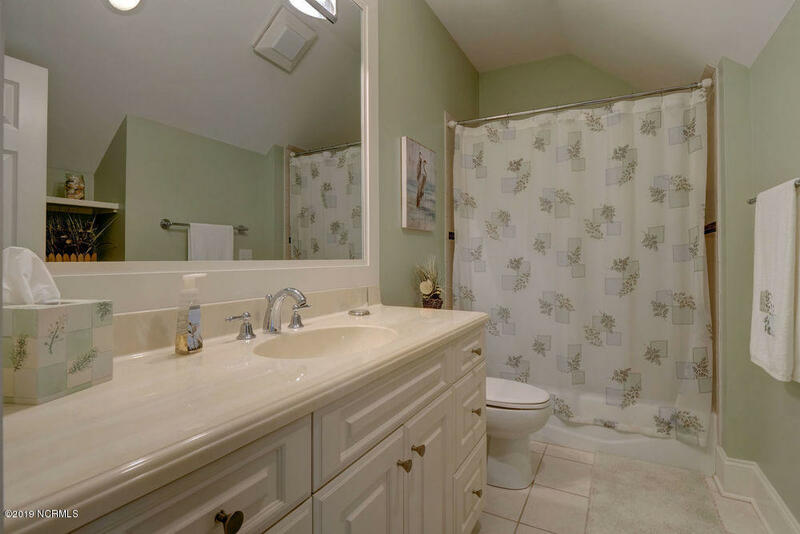 Upstairs are 3 bedrooms, 3 baths 2 rec rooms. 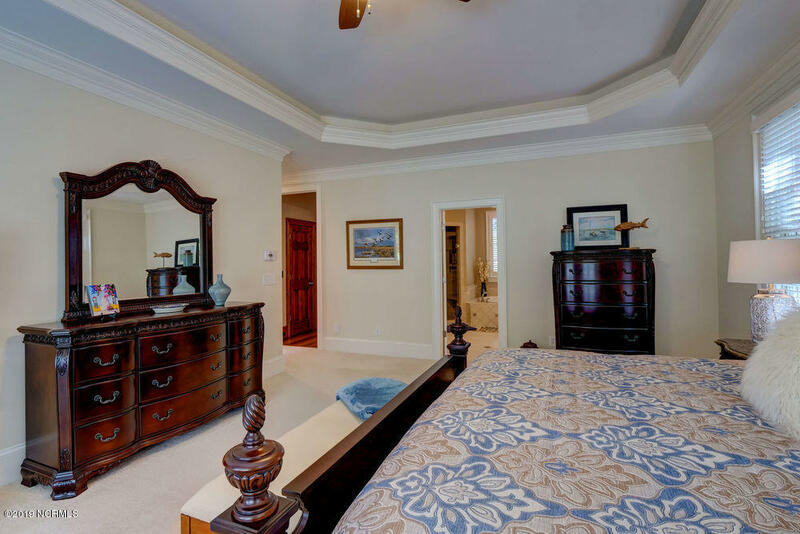 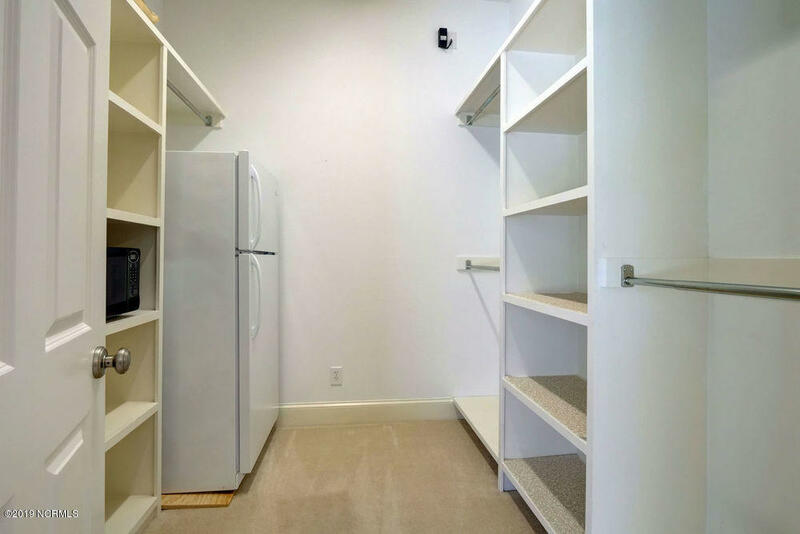 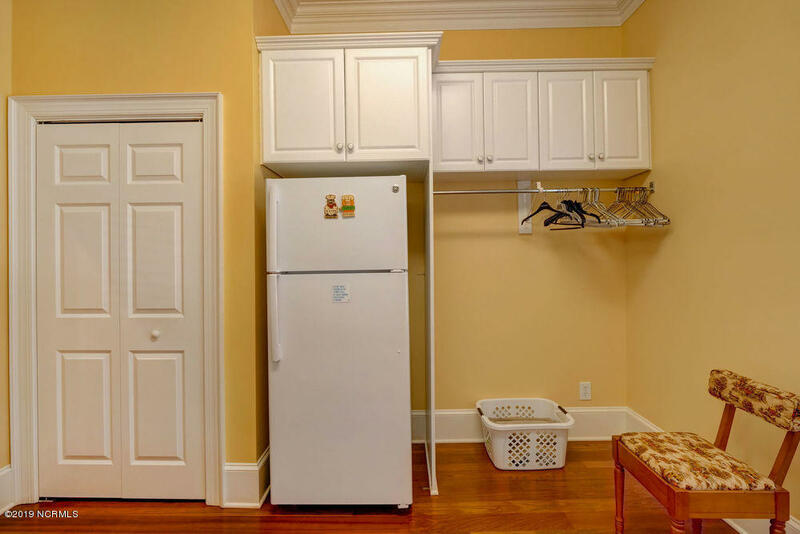 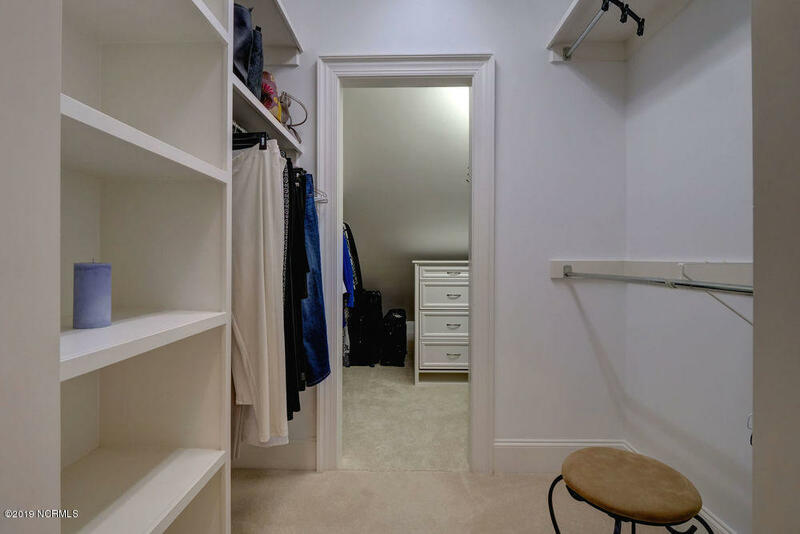 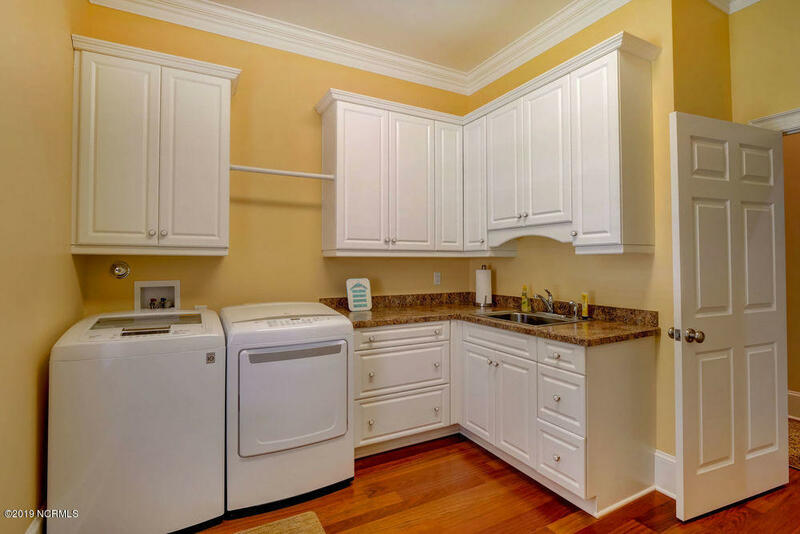 Quality built-ins, mahogany floors, 3 car garage.